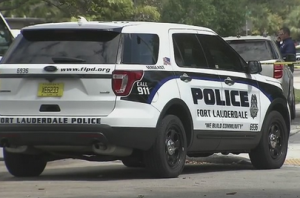 Crash In Fort Lauderdale Sends Three To The Hospital With Injuries | Schuler, Halvorson, Weisser, Zoeller & Overbeck P.A. Three people were hospitalized following a multiple vehicle crash on East Commercial Boulevard in Fort Lauderdale. The two eastbound lanes of East Commercial Boulevard were littered with debris after a multiple vehicle crash in Fort Lauderdale. Emergency first responders were on scene to attend to the crash victims and clear the wreck left by the crash. Authorities say a silver BMW 135i was traveling eastbound on East Commercial Boulevard when it lost control, struck the raised center divider, swerved to the right and struck a white Honda Civic. The BMW continued in its trajectory until it hit the curb on the right and rolled over before coming to rest in an upright position. The Honda civic was propelled towards a third vehicle due to the impact of the crash, but minimal damage was inflicted on the third vehicle. The driver of the BMW was rushed to the nearest hospital for multiple lacerations and a broken neck. The driver of the Honda civic was also seriously injured. She was taken to the hospital in an ambulance. A 16-year-old boy who was a front seat passenger in the Civic sustained minor injuries in the crash and was treated by paramedics on the scene. There is currently no information on what led to the crash. The Florida Highway Patrol is conducting an investigation into the accident.